Hello friends! 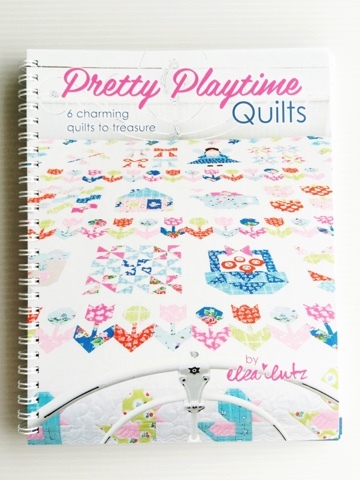 Elea Lutz has a gorgeous new book 'Pretty Playtime Quilts' - and today is my day on the blog hop, hosted by the lovely people at Fat Quarter Shop. 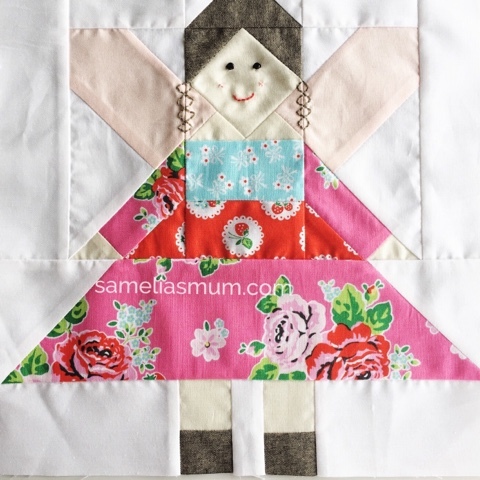 I created the 'Tooth Fairy Block' which was honestly, such fun to make. The instructions are excellent and include diagrams each step of the way. This block has quite a few pieces, so my best tip is to read the instructions carefully before you begin cutting. This block also includes some embroidery (the fairy braids and mouth), which I just loved. For the eyes, I didn't have any teeny black buttons, so I used some black beads which (I think) look okay. 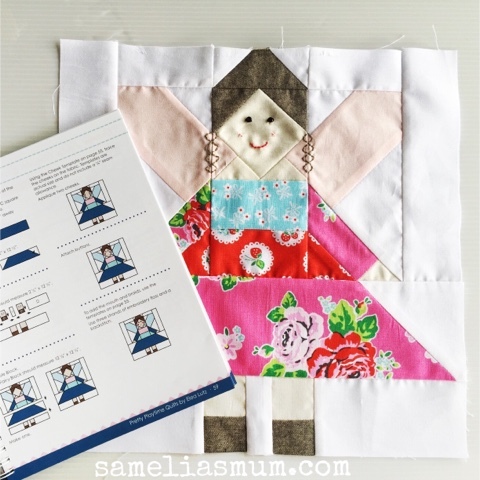 The 'Tooth Fairy Block' forms part of the 'Garden Fairy Sampler Quilt' which we're working on. You can find the pattern, kits and fabric over at FQS. Just click on the links and you'll be directed right there. 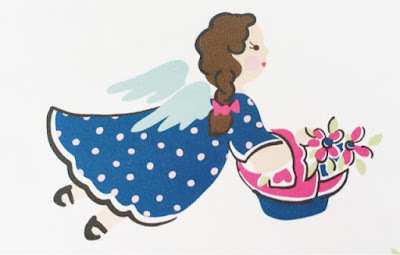 Here are the other bloggers participating in the 'Fairy Garden Sampler Quilt' - stop over at their blogs to see the fun blocks they create on their days. Looks like a neat book and your block is wonderful!